Air fresheners may have been doing their thing since ancient times, but the modern world has seen a dramatic transformation in both their scope and effectiveness. The breadth, or whiff, of square footage they cover has widened from scenting a home or other small spaces to large office areas and commercial buildings. With the interior size of architectural structures, hotels, casinos and the like having increased to often impressive proportions, the challenge of scenting these areas has consequently grown in tandem with their sometimes spatially gluttonous, albeit impressive, designs. So how does an hotelier, air care supplier, business owner or business manager overcome the challenge of controlling scent and odors in larger, spacious environments? This article explores the historical use of air fresheners (from ancient times to today), the financial statistics behind the growing use of scent diffusing systems, and some of the leading industry solutions to odor control and air care when scenting larger, commodious interiors. Although down though the centuries the technology used to both spread and create fragrances has become much more sophisticated, according to The Perfume Society, hieroglyphics suggest that the very first perfumers were the Egyptians. Their priests and their Pharaohs were buried with their fragrances, which were still lingering in the air when archaeologists discovered them in 1897. Many of the ancient ingredients, such as musk, jasmine, Frankincense, resin and lotus, are still used to make scents today. Stepping a bit further in time, the ancient Chinese were known to burn incense and other air freshening scents in their homes and other special places as a way to disinfect and eliminate disease. Those living in the empire of ancient Greece, freshened the rooms in their homes simply by scattering mint leaves on the floor. In ancient Rome, air fresheners and perfume were widely used in beauty products, public baths and even on the soles of their feet. Archaeological records indicate that by 100 AD, the Romans were using about 2,800 tons of incense per year! The dawn of the 14th century brought the very first alcohol-based fragrance known as Queen of Hungary’s Water, which was comprised of rosemary and wine. For the next few centuries the art of making perfume spread throughout Europe, gaining a foothold particularly but not exclusively in France. There were still no products available for scenting larger areas of the home even though the idea was a logical outgrowth of scenting the body. People turned to Mother Nature for the solution to scenting interiors. According to reports from Northern California’s Colusa County Sun-Herald, early settlers planted aromatic herbs near their farmhouse doors. During the 18th century, the more popular scents were fresh, lighter floral fragrances, which were planted around windows and doors to mask odors. The modern air freshener did not appear until the 1940s. In 1946, the founder of Air Scent, Bob Surloff, invented the first fan-operated air freshener dispenser. He became a pioneer in the field of scent marketing, paving the way for others to follow. Two years later, came the introduction of an air-freshening, pressurized spray capable of delivering a fine mist of fragrance that remained suspended in the air for a long period of time. It was created from a technology first developed by the military to dispense insecticides. It contained about 1% perfume, 24% alcohol and 75% chlorofluorocarbons (CFC) propellant. With the growing popularity of air fresheners, aerosols were introduced in the early 1970’s, and their commercial use grew for more than two decades, but then fell out of favor in the 1970s when the air freshener industry responded to ecological concerns over the destructive affect of CFCs on the ozone layer. Experts reformulated the product to keep it alive, and in 1975 S.C. Johnson eliminated these CFC compounds from aerosol air fresheners. In the 1990s, there was a revival in air freshening products, including the “plug-in,” which became very popular. These products, which were easy to use and affordable, did not rely on aerosol sprays. Instead they were dependant on heat induction technology and heat-activated scented gels to release a scent continuously. They were by no means capable of scenting large indoor environments. By the late 1990s, sales of air fresheners in the United States had exceeded several hundred million dollars per year. The increase in air freshener use in large commercial and residential spaces as well as rising hygiene concerns have caused a surge in economic growth, with sales for 2015 reaching $1.8 billion. By 2020, estimates forecast the global air freshener market will garner $11.04 billion. The use of air fresheners is constantly expanding due to consumer life style changes over the years. More people spend more time indoors in places like corporate offices. Manufacturers have adapted to these changes by altering their application of air fresheners to suit much larger indoor areas. Other factors too have affected the popularity of the modern air freshener. A rapid rise in both population and urbanization has culminated in massive solid waste generation. The decay of uncollected waste causes air pollution and according to The World Bank, municipal solid waste (MSW) generation levels are estimated to double by 2025. 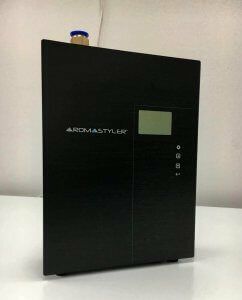 Air-Scent is the only company in the world with its own full service, in-house fragrance manufacturing division. Our company goal has always been to satisfy the dynamic needs of our devoted customers. Founded on innovation more than seven decades ago, our journey to world leadership in the commercial scent industry has made us a major provider of the most effective air care products and systems in today’s marketplace, providing top-of-the-line ambient branding and air care for both small and large-scale settings. Our cutting edge large area scent diffusion technologies, fragrance creation and one-of-a-kind air freshening systems create a symbiotic equation between scent creation, scenting equipment and on site experience that other companies can’t match. Studies have indicated that 83% of all commercial communication and advertising is designed to appeal only to our senses. Our highly skilled fragrance designers are masters at transforming this statistic into more consumer traffic and a healthier bottom line for many industries. Even more, our unique selections of luxury fragrances are strategically placed where they will invoke a positive emotional response for any brand. We have developed air freshening diffusers to enhance any commercial setting or confront any odor neutralizing need. Our clientele stretches across the globe and covers many industries including: retail, health, wellness, senior care, hotels and casinos as well as other scenting companies, distributors and route service operators. Further, our air freshening diffusers can be made to adapt to any application and size requirement. But the Aroma Beam and Aroma Styler are the ultimate in large area diffusing equipment. This newly redesigned air freshening diffuser represents the ultimate in non-HVAC innovation, non-nebulhzing (dry vapor), cutting edge air diffusion technologies. It provides coverage for up to 50,000 cubic feet and works perfectly for large retail stores, restaurants, hotels, healthcare and daycare facilities and any other type of commercial space. Its housing is compact, heavy duty, polymer-constructed and has non-skid rubber feet to protect surfaces. Its unique cartridges are specifically designed to last 30 days and it freshens the air and controls odors so that anyone entering the space at any time receives a positive first, second and even tenth impression. Even more, it’s now easily controlled through a mobile APP. For spaces that are larger than 50,000 cubic feet, you can strategically add additional Aroma Beam units, or you can opt for the Aroma Styler HVAC unit, which we’ll get into shortly. What Makes The Aroma Beam The Most Effective Large Area Air Freshener? Each compact-sized Aroma Beam diffuser holds ten refills and offers several mounting options. These include: a plug in to a standard wall outlet; solid-state circuitry, which offers completely adjustable output and a quiet high-output fan with an LED speed indicator. An optional timer is available and the device is easily serviced and maintained via a slide-out tray. Air Scent stands behind the Aroma Beam and pledges a full one-year replacement warranty should anything go wrong. 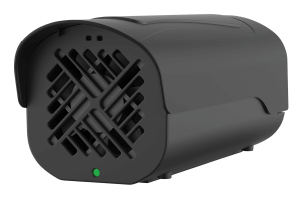 The Aroma styler is quite simply the most advanced and most globally-used HVAC air diffuser system, and is perfect for ultra large spaces (50,000 cubic feet and more) such as vast casino floors, cavernous atrium spaces, high-ceilinged lobbies, entire commercial floors of office complexes, convention centers and much more. To bring this fragrant dissertation to a close, the basic idea of having a nose for a nicely scented space has remained an unchanged quest for all human kind, and now more than ever, scent marketing has become the most direct way to connect customers to a brand, increase traffic and ultimately, a company’s bottom line. Our scenting options are as vast as the sea and only limited by the confines of human imagination, so for those of you with roomy, boundless entryways, lobbies or sizable facilities, know that we think big when it comes to scent and we are standing by with the perfect arsenal to transform your interior, not matter what its size, into an exciting, memorable environment.